Nice going! Once you have decided to use Double Click for Publishers, DFP Account Setup is your initial step. You have taken your first steps into a wider range of exploring how to boost the revenue of your online business! DoubleClick for Publishers does not require installation or downloads of any kind and can run various ads starting with text ads, banners, flash creatives that wide media campaigns use. Just about any publisher can register for DFP so long as an Ad Sense account is previously occupied by the potential user. To comprehend what these steps require and what principles you are to follow to complete your DFP account setup we will assist you through the process in details. DFP – Inventory – Ad Units – New Ad Unit. Make sure to name your ad unit. Next with DFP account setup is to figure out where to place the ads. You might have ad units of various sizes and shapes and the advertiser might want to use one or more of those. Therefore, it is wise to previously know what, where, when. You are also advised to group the ad units into placements for targeting. Be caution with the completion of the Google Ad Sense section since anything you select and insert here. After successfully completing everything mentioned above you will need to create an order to set forth the procedure with DFP account setup. Because you inventory is clear by now, you will start with the clients order. Here the advertiser will specify what size ads, what design they want and what price he/she is going to pay. New line Item is where you fill in the order details when creating a company for the advertiser. To continue with the setup of you DFP account setup you need to upload the creative that will appear on your website. Click on the line item you have created previously. Here add the creative by uploading the image or the flash file dependent upon what was asked of you. DFP allows you to upload more than one creative per line item and they will come up evenly across the page. The very last step with your DFP account setup is to get the tags. To do so you need to go to the DPF main menu i.e. dashboard and click on “Generate tags.” Choose the ad unit you have created during the first step then choose “Generate tags.” Last but not least, select the “Google Publisher Tag” option and add the given code to you web page. Now, DFP will start serving advertisement on your website in the next few minutes. 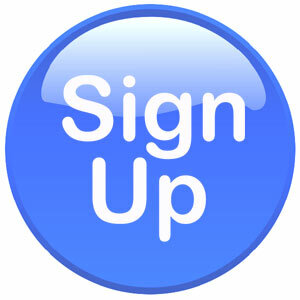 Be attentive to fill in the registration form carefully not to face difficulties afterwards.